YU Televentures, the subsidiary of Micromax, silently launched a new smartphone called YU Yureka S with mediocre specifications in India, today. The smartphone is priced at Rs. 12,999 and This new handset is the third device under the Yureka serieswill be available both online and offline in only black color. Yureka S sports with a 5.2-inch Full HD display resolution 1920 x 1080 pixels and 423ppi of Pixel density with Gorilla Glass 3 protection. Powered by a Qualcomm Snapdragon 615 which has 4 performance cores clocking 1.7GHz and 4 power-saving cores running at 1.1GHz which is paired with an Adreno 405 GPU and support for OpenGL ES 3. 3GB of RAM and 16GB of onboard storage with support for expandable storage via microSD card slot. Hybrid Dual-SIM Slot with 4G connectivity and runs on Android 5.1.1 Lollipop operating system. 13MP rear camera and 5MP front facing camera both with f/2.2 aperture. Wolfson Codec and Yamaha Amplifier. It also sports noise cancellation Mic that removes all the background noise while talking through the device. Wi-Fi 802.11 b/g/n, Bluetooth, USB OTG, and microUSB port. The device measures 154.8 x 78 x 8.5 mm and weighs 172 grams. 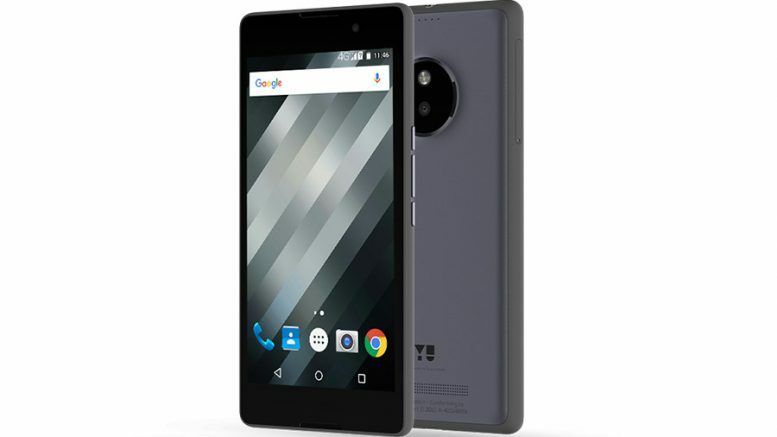 Be the first to comment on "Features of YU Yureka S smartphone launched at Rs 12999"